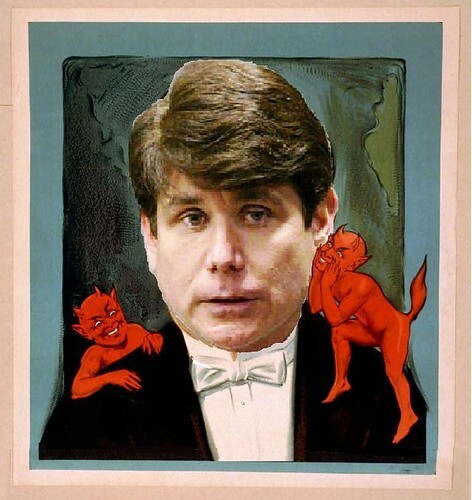 Accused of trying to sell the Senate seat vacated by President-elect Obama and attempted extortion of a major newspaper and the Chicago Cubs, Illinois Governor Rod Blagojevich has few strategic legal options open to him. The most promising legal theory is the Flip Wilson Ploy. Time Magazine proposes another variation. Image by Mike Licht (the only one on his block in DC who isn’t a lawyer). Download a copy here. Creative Commons license; credit Mike Licht, NotionsCapital.com. This entry was posted on December 11, 2008 at 3:29 am and is filed under Barack Obama, Baseball, baseball stadium, Blagojevich, Chicago, Courts, Crime, Democrats, DOJ, ethics, government, lawyers, media, news, satire. You can follow any responses to this entry through the RSS 2.0 feed. You can leave a response, or trackback from your own site.